Conducting Behavioral Consultation in Educational and Treatment Settings is a practitioner's guide to implementing consultation with multidisciplinary care-providers for children and adults who have learning and behavioral challenges. 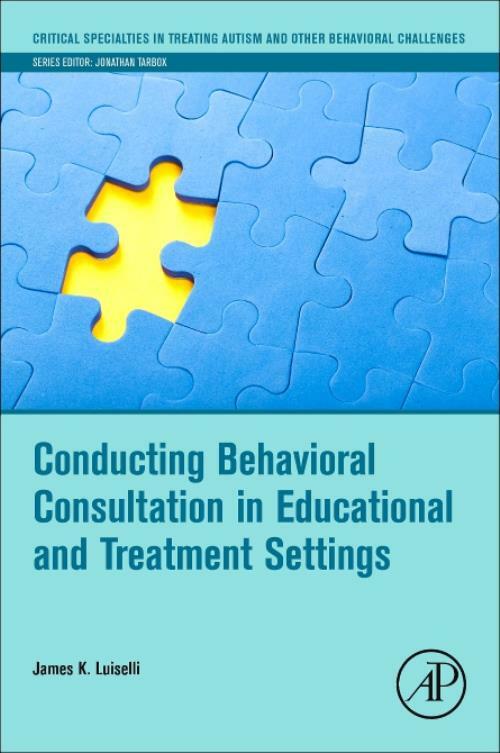 The book focuses on the interactive, problem-solving, dispute resolution, time management and related skills necessary for conducting behavioral consultation successfully. Primary topics include (a) basic principles and practices of behavioral consultation, (b) roles, expectations and responsibilities of a behavioral consultant, (c) establishing a consultation relationship, (d) consultation in action (problem identification, problem analysis, intervention implementation and intervention evaluation), (e) supervision, (f) interpersonal skills, and (g) time management skills.